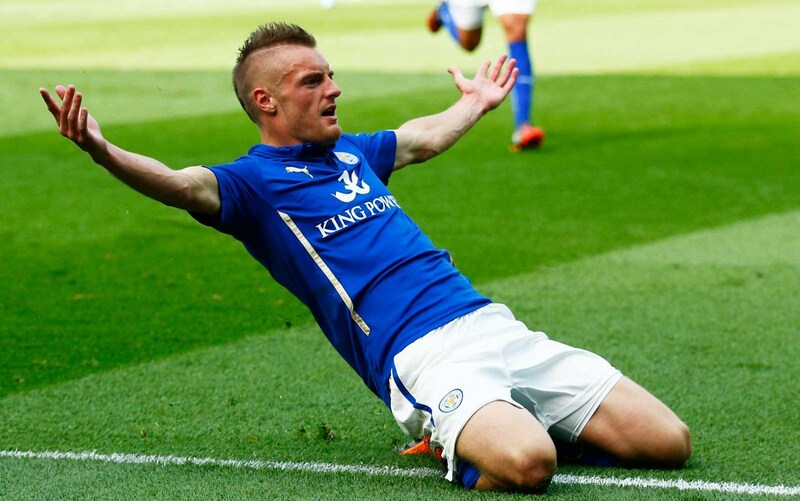 Leicester are refusing to listen to offers for Jamie Vardy and are determined to keep hold of him this summer. The Mirror report that the 30-year-old, who is valued by the Foxes at around £40million, is wanted by Chelsea and Everton, with the two clubs looking for replacements for Diego Costa and Romelu Lukaku respectively. A year ago, the England international turned down the chance to join Arsenal and chose to sign a new contract to keep him at the King Power until 2019. Craig Shakespeare still sees him as an invaluable part of his side even if he failed to reach the heights of the 2015/2016 campaign last season, scoring 13 league goals compared to 24 in their title-winning campaign. It’s thought Vardy may be keen on a new challenge, with Everton boss Ronald Koeman in the process of an ambitious project at Goodison Park. The Toffees have been hunting out an established Premier League striker, having already made approaches for Arsenal’s Olivier Giroud and Crystal Palace’s Christian Benteke.